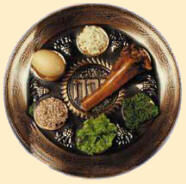 Pesach / Passover is one of the seven festivals of the Lord, mentioned in Leviticus. It is the first of the Spring festivals, usually occurring in March or April each year. In scripture, this would be Nissan 14. Pesach was first instituted in Exodus 12. Through Moses, God had commanded that blood from a lamb be smeared on the top lintel and two side posts of the door. At midnight, the LORD passed through and killed the firstborn of all the Egyptians. But when he saw the blood on the lintel and two side posts of the doors of the Jewish homes, the LORD passed over that door and they were spared. 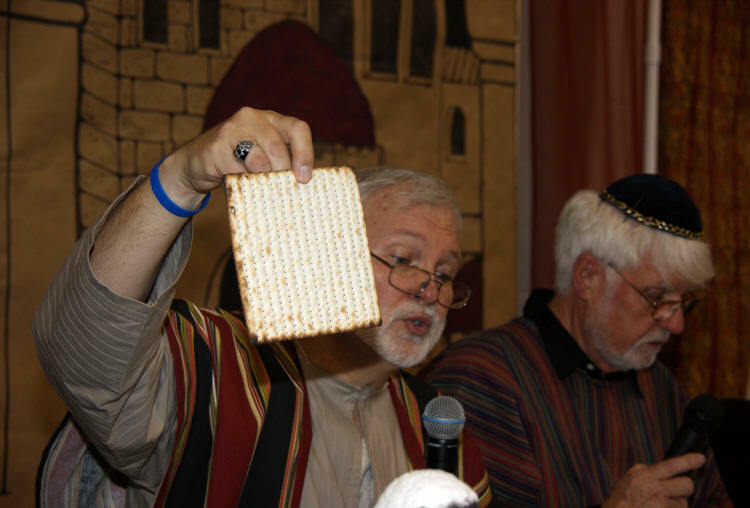 One part of the observance of Pesach is to eat unleavened bread for seven days. 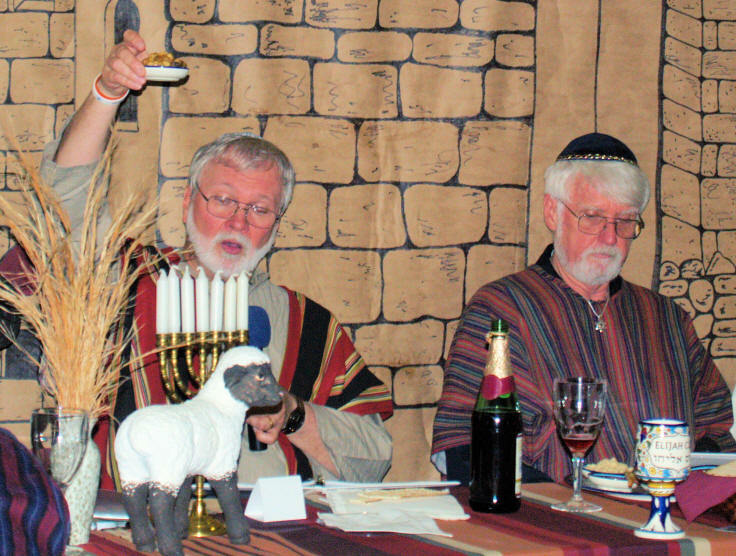 Yeshua (Jesus), himself, participated in the Passover each year. 26 And as they were eating, Jesus took bread, and blessed it, and brake it, and gave it to the disciples, and said, Take, eat; this is my my body. 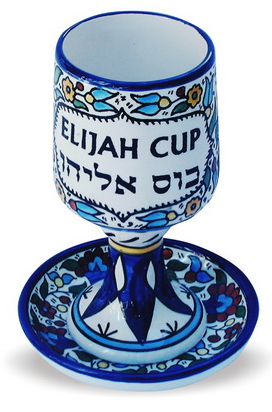 27 And he took the cup, and gave thanks, and gave it to them, saying, Drink ye all of it. 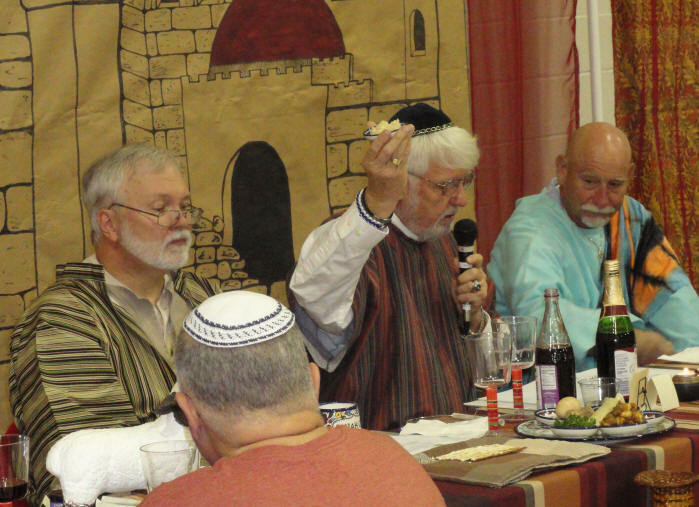 Haggadah means "the telling." 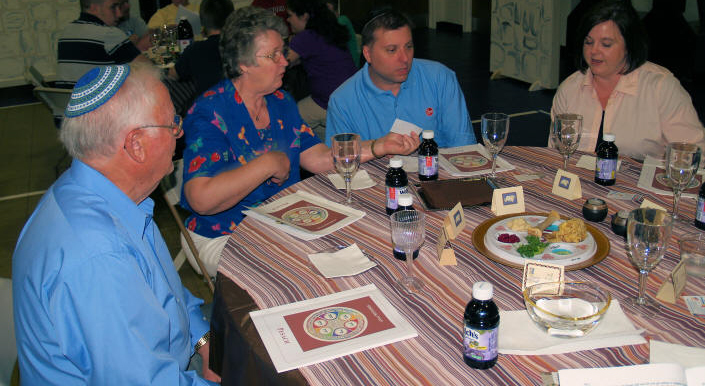 The Haggadah is the booklet that is used to direct the family through the various parts of the Passover Seder. 14 ... it shall be a statute for ever throughout your generations in all your dwelling. 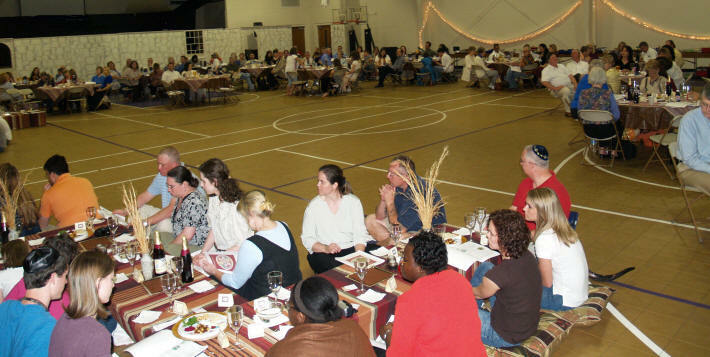 The Seder meal is the main part of the Pesach observance. 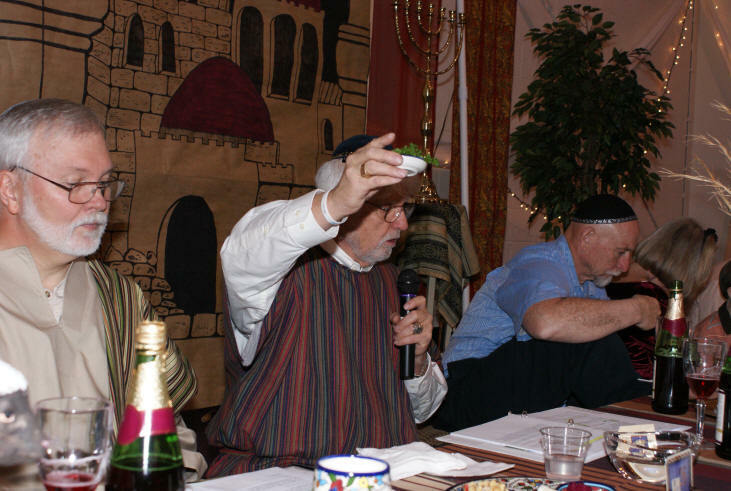 The Seder meal includes (1) telling the story of the first Passover and God's deliverance of the Jewish people from Egypt, (2) drinking 4 cups of wine, (3) eating matzah/unleavened bread, (4) eating bitter herbs, (5) eating kharoset, (6) asking the "Four Questions", and (7) looking for the Prophet Elijah. Festival candles are lit on the first and last nights of Pesach. Baruch Atah Adonai Eloheynu Melech ha'olam, asher kidshanu bidevaro u'vishmo anachnu madlikim haneyrot shel yom tov. Blessed are You, O Lord our God, Ruler of the universe, who has set us apart by His Word, and in whose Name we light the festival lights. 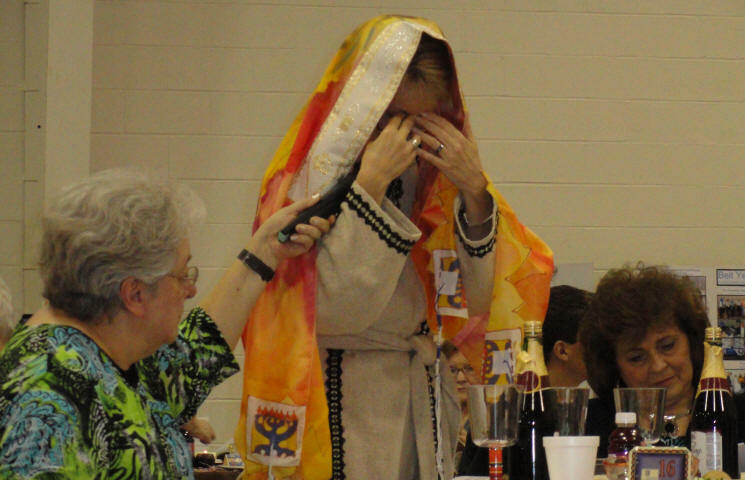 There are four cups of wine drunk during the Pesach/Passover Seder meal - based on the scripture from Exodus 6. Say therefore to the people of Israel, ‘I am the LORD, and I will bring you out from under the burdens of the Egyptians, and I will deliver you from slavery to them, and I will redeem you with an outstretched arm and with great acts of judgment. I will take you to be my people, and I will be your God, and you shall know that I am the LORD your God, who has brought you out from under the burdens of the Egyptians. Baruch Atah Adonai Eloheynu Melech ha'olam borey pri hagafen. Blessed are You, O Lord our God, King of the Universe, who created the fruit of the vine. 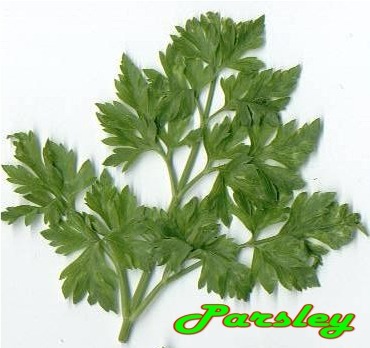 During Pesach bitter herbs (karpas in Hebrew) such as Parsley are eaten as part of the Seder meal. Baruch Atah Adonai Eloheynu Melech ha'olam borey pri ha'adamah. 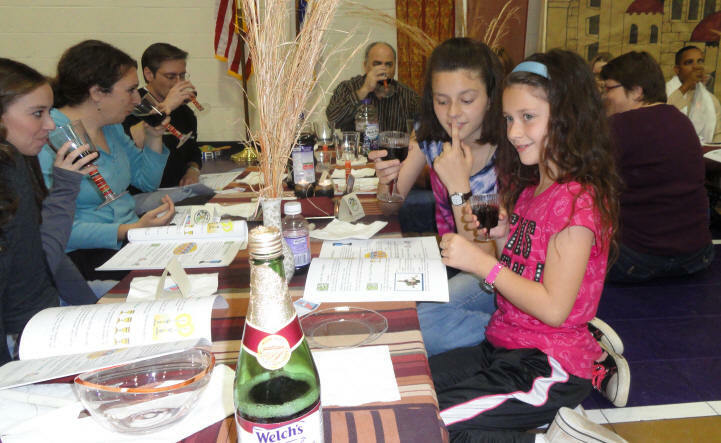 Children are an important part of Pesach and all of the Biblical festivals serve as object lessons to teach children about their Biblical heritage. 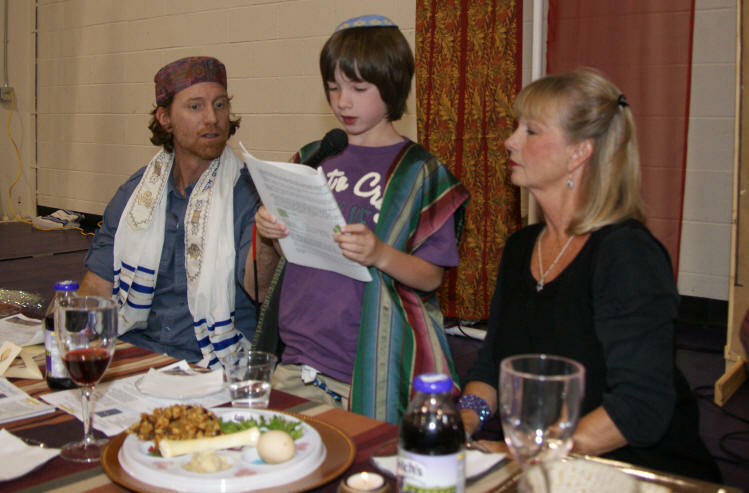 During Pesach, a young child asks the four questions. 1. On all other nights we eat bread or Matzah. On all other nights, we eat bread with leaven, but on Pesach only unleavened bread is eaten. Unleavened Bread called Matzah (or the plural, Matzot), and is eaten for seven days during the festival. As the children of Israel fled from Egypt, they did not have time for their dough to rise. Instead, the hot desert sun baked it flat, but even more than that, the scriptures teach us that leaven symbolizes sin. Don't you know that a little leaven works through the whole dough? Get rid of the old leaven that you may be a new batch without leaven - as you really are. For Messiah, our Passover lamb, has been sacrificed. Therefore let us keep the feast, not with old leaven, neither with the leaven of malice and wickedness; but with the unleavened bread of sincerity and truth. Three matzot are wrapped together for Pesach. Those of us who know Messiah, can also see in this unique - Yahweh, the Father - Yeshua, and the Ruach ha Kodesh (Holy Spirit) - ECHAD (One)! In the matzah we can see a picture of Messiah - it is striped and pierced. 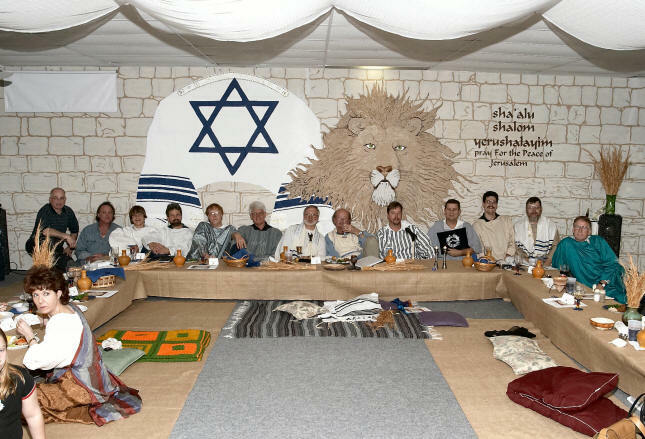 Baruch Atah Adonai Eloheynu, Melech ha' olam, hamotzi lechem min ha'aretz. Blessed are You, O Lord our God, King of the Universe who brings forth bread from the earth. During Pesach we remember how bitter life was for the children of Israel in the land of Egypt. 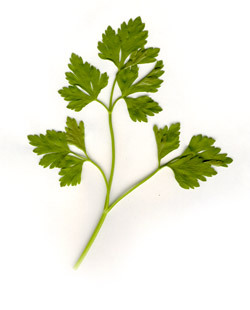 Another bitter herb, horseradish (called Maror), is also eaten during the Seder Meal. So the Egyptians came to dread the Israelites and worked them ruthlessly. They made their lives bitter with hard labor in brick and mortar and with all kinds of work in the fields. Baruch Atah Adonai, Eloheynu Melech ha'olam, asher kidshanu bid-e-varo vet-zi-va-nu al ak-hi-lat maror. 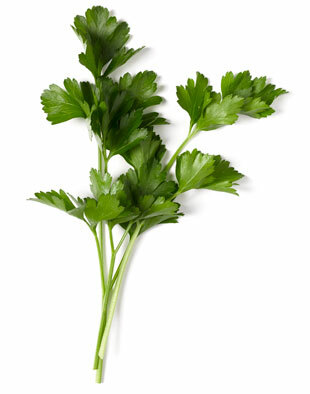 Who has set us apart by His Word and commanded us to eat bitter herbs. Kharoset is a sweet mixture made of apples, honey, wine and nuts eaten at the Passover Seder. Its color and texture are meant to recall the mud which the Israelites used to make bricks when they were enslaved in Ancient Egypt. The word kharoset (or "charoset") comes from the Hebrew word cheres - "clay." 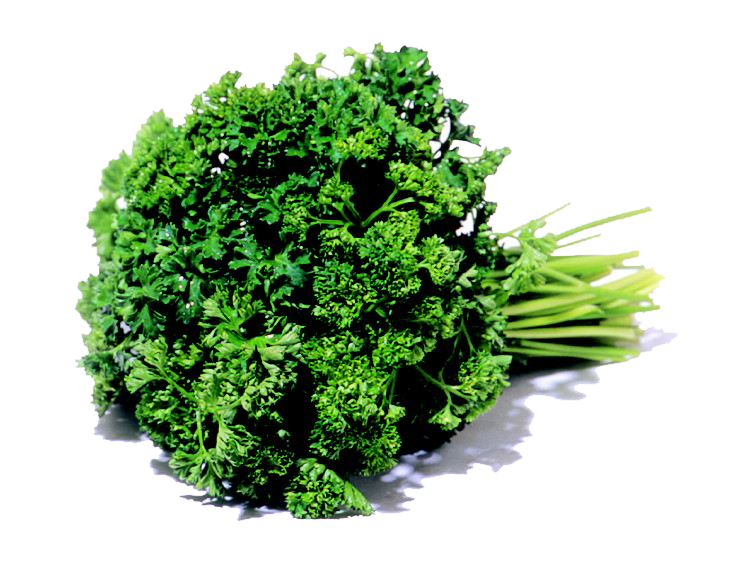 What is the spiritual meaning of eating the bitter herbs and kharoset together? We all have bitter experiences in our lives. The message God is communicating to us is His desire for us to press through the bitterness to experience the sweetness. The horseradish represents the trials and tribulations which come into our lives. Like the horseradish, many trials and tribulations are so bitter they make us cry. If we allow these trials and tribulations to make us bitter toward God, we will never experience the sweetness of God's deliverance for our life. However, if we press through them, with God's help, we will tast and experience the sweetness of His promises contained in His Word to us. There are many recipes for kharoset throughout the world. Eastern European (or Ashkenazi) kharoset is made from chopped walnuts and apples, spiced with cinnamon and sweet wine. Honey or sugar may be used as a sweetener and binder. The mixture is not cooked. Sephardi kharoset is a paste made of raisins, figs and dates. 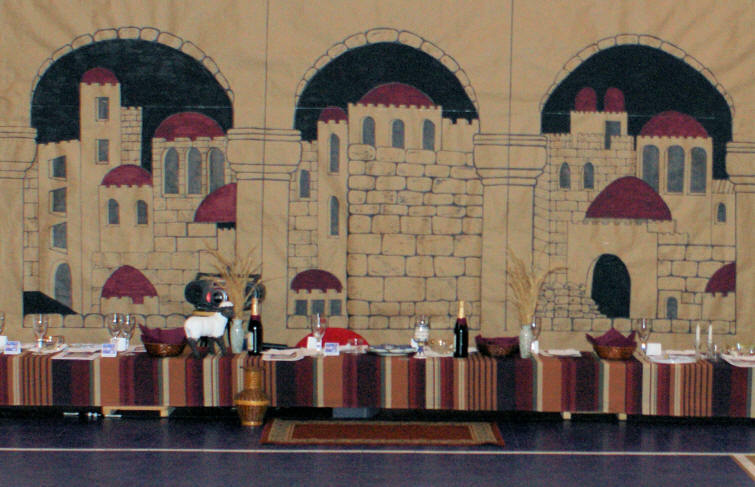 Egyptian Jews make it from dates, raisins, walnuts, cinnamon, and sweet wine. Greek and Turkish Jews use apples, dates, chopped almonds and wine. Italian Jews add chestnuts. Some Spanish and Portuguese communities such as the Jews of Suriname, add coconut. I even have an Israeli friend who used bananas in the kharoset for his family Seder. 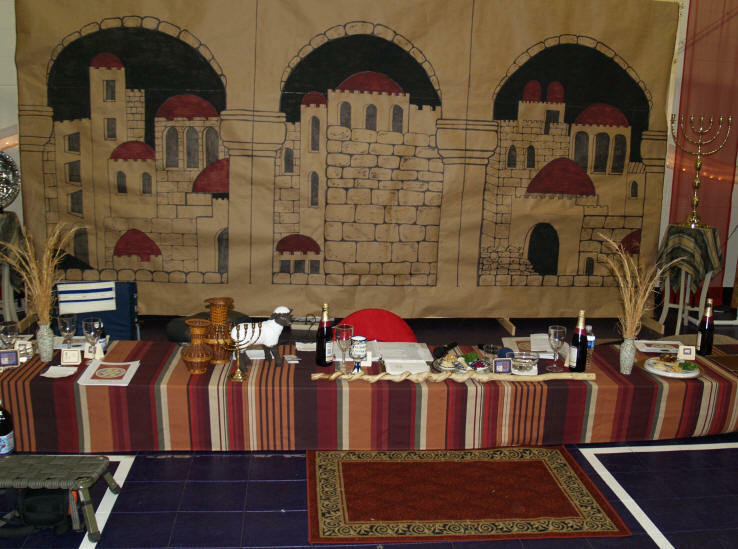 There is always an extra place setting at the Pesach dinner table for Elijah the Prophet (Eliyahu Ha'Navi). 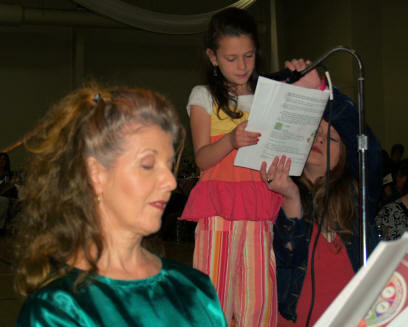 Toward the end of the Seder meal a young child is sent to the door to see if Elijah has returned. 5 See, I will send you the prophet Elijah before that great and dreadful day of the Lord comes. Elijah did not see death, but was swept up to heaven by a great whirlwind, in a chariot of fire. It is the hope of Jews & Messianic Believers around the world that Elijah would come at Pesach, to announce the Messiah, Son of David. 17 And he (John) will go on before the Lord, in the spirit and power of Elijah ... to make ready a people prepared for the Lord. 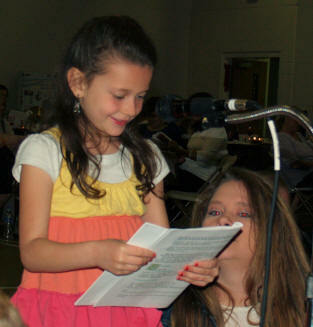 There are several traditional songs sung at Passover including "Dayenu" and "Eliyahu Ha'Navi". Na-tan la-nu et ha Torah, Dayenu! Na-tan la-nu et Ha Aretz, Dayenu! Na-tan la-nu et Yeshua, Dayenu! Na-tan la-nu et Ma-shi-ach, Dayenu! Na-tan la-nu et Yeshua, Da-ye-nu! (Elijah the Prophet, Elijah the Tishbite, Elijah the Gileadite.